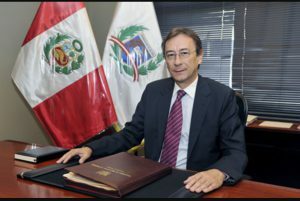 I am talking today with H.E Ambassador Thierry Roca-Rey Deladrier who is a member of the Peruvian Diplomatic Service. On June 23rd 2016, Ambassador Roca-Rey presented his credentials as Ambassador of Peru to the Swiss Confederation. Ambassador Roca-Rey, could you tell us a bit about yourself and your diplomatic career. In which countries you have had the opportunity to represent Peru? Do you have any special experiences that you would like to share with us? What are your general impressions about Switzerland? Ambassador Roca-Rey: The Ministry of Foreign Affairs of Peru is a highly professional institution, created in 1821, which enjoys international prestige because now all members of the Diplomatic Service of the Republic are graduates of the Diplomatic Academy of Peru. The Diplomatic Academy of Peru was created 60 years ago. This institutional framework has given stability, continuity and seriousness to the Peruvian foreign policy. All members of the Foreign Service are state officials. Within the institutional career plan, diplomatic officials of the country work alternately in Embassies, Consulates and Representations before International Organizations. In my case I have served in Embassies to various countries such as the UK, France, Brazil and Morocco. I have also been Consul General in Belgium and Luxembourg. In Lima, I have also held several senior positions in the Ministry of Foreign Affairs, the most recent was Secretary General of Foreign Affairs. For nearly six months I have assumed my new duties in Switzerland. I am very happy to return to a country where I studied as a child. This, because my father had also diplomatic responsibilities in Bern. LBN: Since last July 28, Peru has a new elected President, The President Pedro Pablo Kuczynski. Could you tell us what are the areas of development in which his government will focus? How would these influence/support the bilateral business relationship with Switzerland? Ambassador Roca-Rey: President Kuczynski has raised several priority issues to work during his term in office. Among them are internal security, improve health services (equipment, buildings, training of human resources), to improve quality of education, access to water, plants for new energy sources, improving management of funds State, national infrastructure: roads, railways, ports, etc. On the other hand, it will strengthen the export of non-traditional goods. Peru, thanks to the development of agribusiness, is exporting asparagus, peppers, artichokes, mangoes, lemons, avocados, etc. All of them are high-quality products that are already present in many countries. They are also an excellent example of the creativity of our employees and bounties of nature. In every one of the before mentioned areas, there are huge options for Swiss participation. This will result in strengthening the bilateral economic relationship that is, indeed, very solid and promising. I am sure that, all items that have already been achieved with Switzerland, will be expanded and strengthened during President Kuczynski’s administration. LBN: During our Seminar of the Pacific Alliance last March, the Minister Counselor Julio Cadenillas talked about the Peruvian areas of opportunities and challenges. Could you mention to us some concrete examples of areas of opportunities for Swiss companies? Ambassador Roca-Rey: In Peru, the execution of projects by the State involve tender procedures among bidders, before adjudication and execution. Switzerland has extensive experience, excellent technology and funding sources. That is why Swiss companies are highly competitive and enjoy prestige in the world. I am fully convinced that the high Swiss efficiency has enormous potential for success in Peruvian tenders. In Peru this kind of process are open, transparent and, of course, with all the guarantees of clear and objectives procedures. That said, we are convinced that the financing and construction of civil engineering for roads, railways and roads, is a huge opportunity for Switzerland. We must also take into consideration that, the Peruvian Andes and the Swiss Alps, have some similar characteristics. Another issue that is attractive for investment and Swiss civil engineering is based on energy sources that should serve the needs of households and also the needs of the growing industry. As already mentioned, the civil engineering works for the potable water to reach to all corners of the country, is one of the priorities for the government. President Kuczynski has reaffirmed in New York a few days ago. In conclusion, there are several areas with opportunities for Swiss companies. LBN: Peru has a bilateral agreement with the EFTA and Switzerland, Peru still with a lot of potential to be exploited. 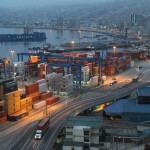 Which areas of opportunity do you consider that Switzerland can offer to Peruvian exporters? Ambassador Roca-Rey: With regard to Peruvian exports to Switzerland, as I mentioned before, there are many products that are of interest to consumers in the local market. Our agricultural export is strong, diverse, and includes high-quality products. 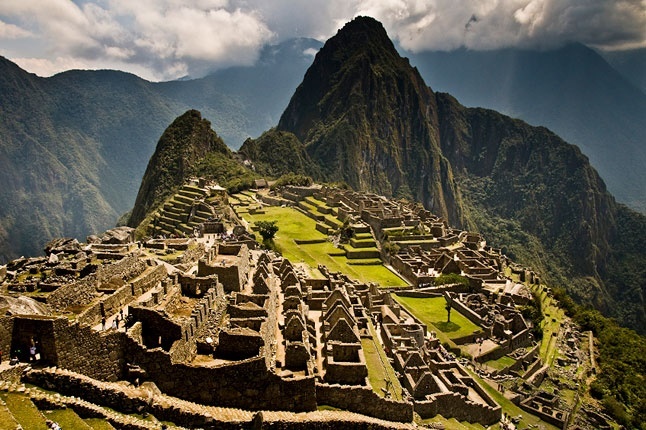 Peru has achieved very important goals in this area. Here in Switzerland, currently in supermarkets like Migros and Coop, you can buy Peruvian products. Is my hope that Swiss friends can access a much wider range of Peruvian products in the short term. On the other hand, organic products are an area that should be deepened. We must take into consideration that, because of the geography of my country and due to an ancient tradition regarding natural products, we have much to share with the world. Countries like Switzerland, which coexists with nature so efficiently, has consumers who value the healthy relationship between agriculture, environment and derived products. Therefore, we consider that there is a lot of work to do in this areas. Our aspiration is that more natural products from my country could be consumed in Swiss households. In this issue our offer is complementary to the demand for goods. LBN: What are the advantages (legal framework for foreign investment) that Peru can offer to Swiss investors? Ambassador Roca-Rey: There are important advantages for foreign investors. For example, there is no limit for capital repatriation. In fact, the Legislative Decree Nº 662, Article 7, establishes that foreign investors may send their entire investment capital and earnings, including revenues from stock, participation or rights’ sales; capital reductions; partial or total liquidation of companies; and the entire dividends or proven net earnings from their investments, as well as their earnings from the use or enjoyment of assets physically located in Peru and registered before the national authorized agency. Investors are allowed to use freely convertible currency without any prior authorization from any central or decentralized government organization or authority. I refer to National, Regional or Municipal Governments. It is also important to underline that Peruvian law grants foreign investors a diversity of rights. Let me mention, among others, the freedom to buy shares from national investors; free remittance of earnings and dividends; free capital repatriation; freedom to hire technology and to pay back royalties; unrestricted access to local credits; freedom to hire investment insurance abroad; possibility to sign juridical stability agreements for their investments in Peru with the Peruvian State, i.a. I have no doubt to state that conditions for foreign investments are really friendly, transparent. We must also take into consideration that, in case of differences between the investor and the State, it exists the possibility to bringing the case before the Multilateral Investment Guarantee Agency (MIGA) or to the International Centre for Settlement of Investment Disputes (ICSID). Inflation & country risk are also amongst the lowest in the region.